Kukicha is colloquially known as twig tea because it is made from slender twigs pruned from tea bushes grown for sencha tea. Regular annual pruning of the bushes for health and vigor yields a bounty of cut twigs which are further cut very finely by hand and then roasted to make this refreshing, low-caffeine tea. Confusingly, Kukicha comes in three (maybe more!) types. It is also sold as Karigane in some parts of Japan. Some Kukicha twig tea, such as this one, is given a light roasting. 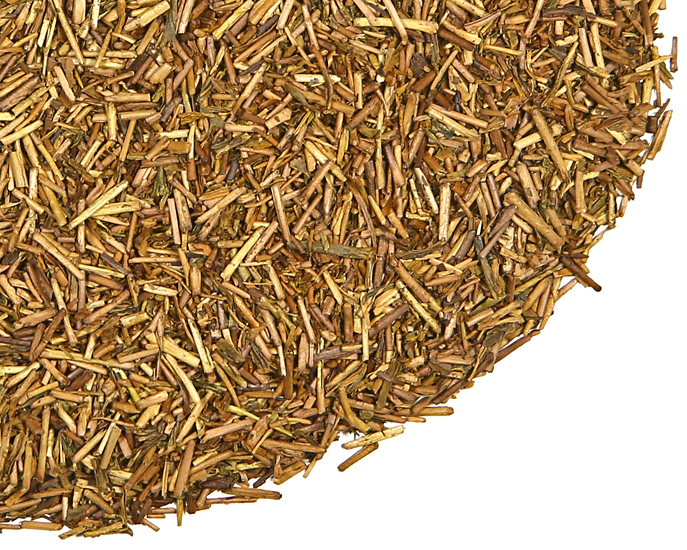 Or Kukicha can be given a medium roasting such as our Kukicha Medium Roasted Twig Tea, which is the more traditional taste and primarily manufactured in Shizuoka Prefecture. Twig tea is also manufactured as a green tea ( see our Green Kukicha ) which is comprised of both twigs and finely cut sencha green tea leaf. The best Kukicha ( no matter the type ) is made in the late spring/early summer from the slender twigs clipped from high-grade Sencha and Gyokuro tea bushes during leaf production in the spring. Because the twig needs to sun-dry before manufacture the twig tea is produced just after the green tea harvests are winding down. Fatter, woody stems plucked lower down on the tea bush or Kukicha made in the late summer months is not as pleasing in taste as Kukicha made early in the spring from young, thin twigs. A quick glance will tell which season a batch of Kukicha is from! 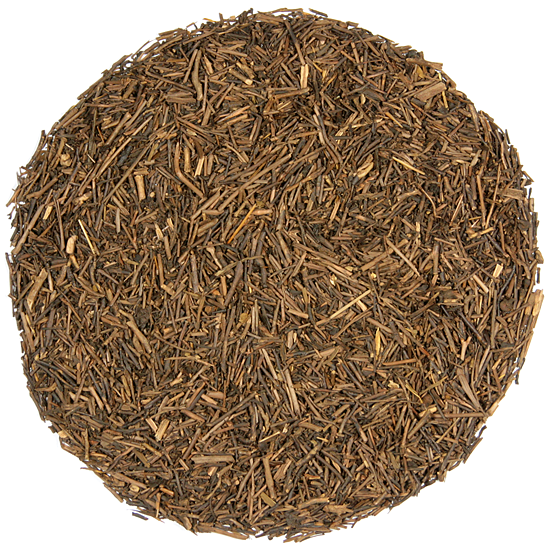 After roasting, the twigs are combined with a very small percentage of roasted tea leaves to add additional flavor and body to the finished tea. 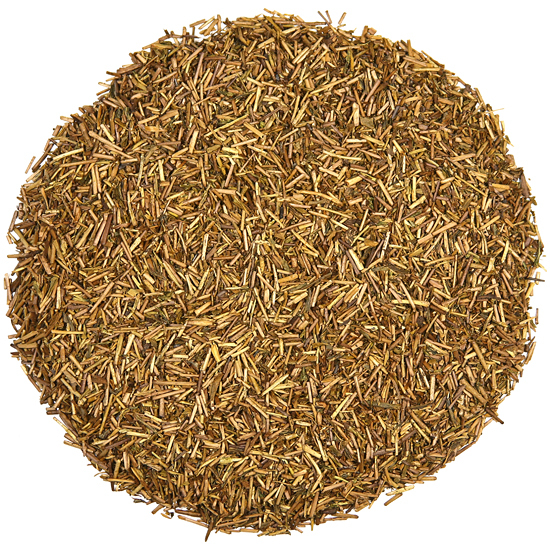 Kukicha Lightly Roasted Twig Tea is big on flavor, high in the calming amino acid theanine but low in caffeine. This Kukicha has a gorgeous soft russet color. 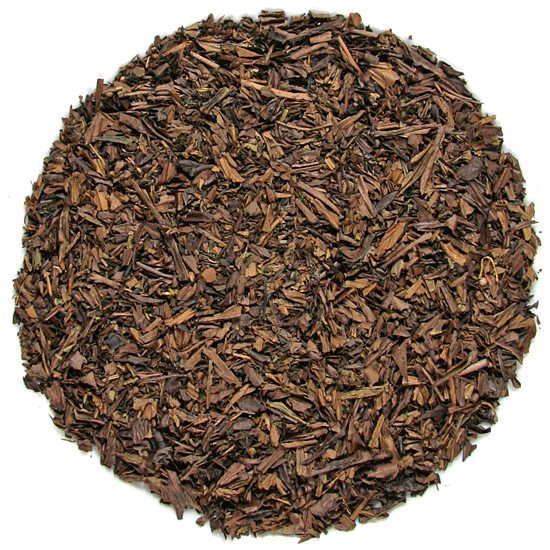 It retains an underlying woody-sweetness in the cup that is very appealing. It has more layers of flavor than does our Kukicha Medium Roasted Twig Tea, and is delicious hot or iced. Serve mixed with apple juice and chill for a refreshing cold beverage.